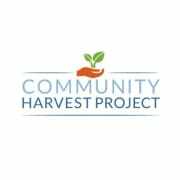 Community Harvest Project (CHP), a 501(c)3 organization, is dedicated to improving access to healthy foods through community engagement. Through their volunteer farming, education, and volunteer programs and partnerships, they bring thousands of community members together each year to build an engaged and healthier Worcester County. In 2018 working together with over 8,500 volunteers they produced approximately 212,000 pounds of fresh produce for individuals and families in need throughout our community who otherwise may not have had access. The produce is donated through numerous partner organizations such as The Worcester County Food Bank, Community Servings, Loaves and Fishes, Jeremiah’s Inn, and The Hector Reyes House. CHP operates at Brigham Hill Community Farm and White’s Farm in North Grafton, MA and at Prospect Hill Farm in Harvard, MA. We are a volunteer based non-profit community organization that grows fresh fruits and produce and donates 100% of what we grow to the hunger relief network in Worcester County. Volunteers participate in all facets of the organization. We offer a great place to spend time with family, friends, colleagues, team members or social groups while helping the community. Would you recommend Community Harvest Project?